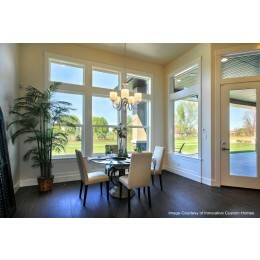 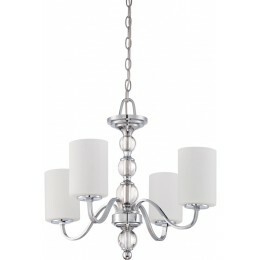 Chain: (1) 4 Ft. in Polished Chrome Finish, Wire: 8 Ft. 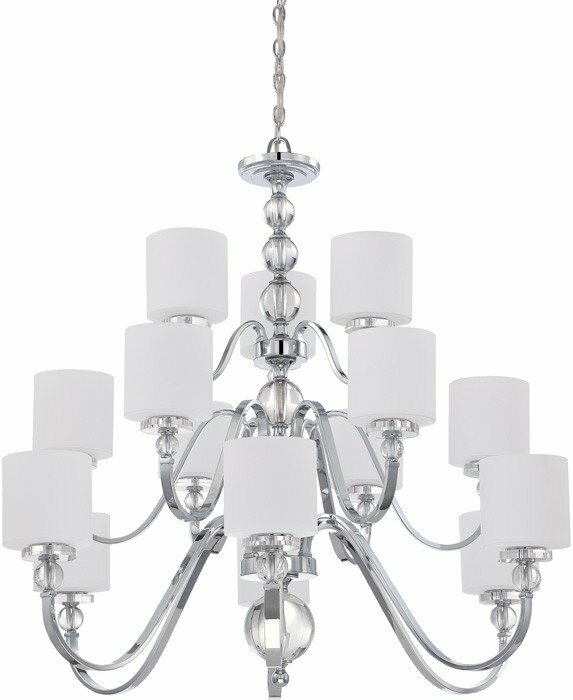 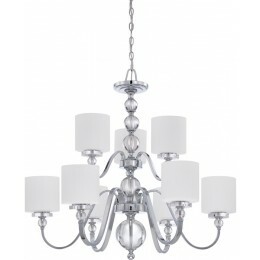 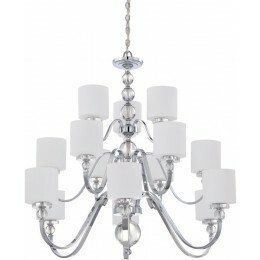 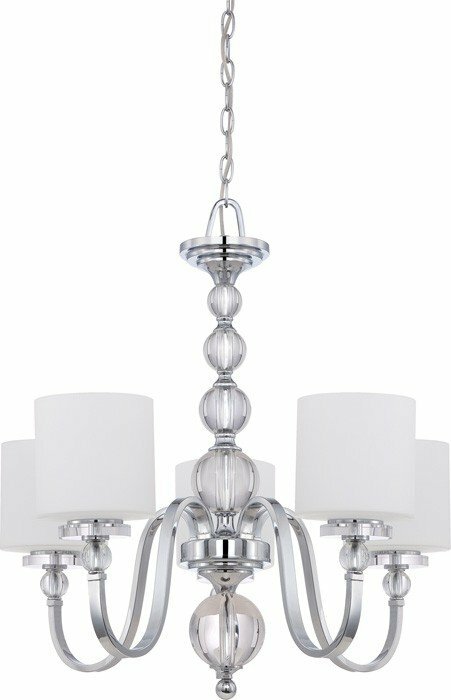 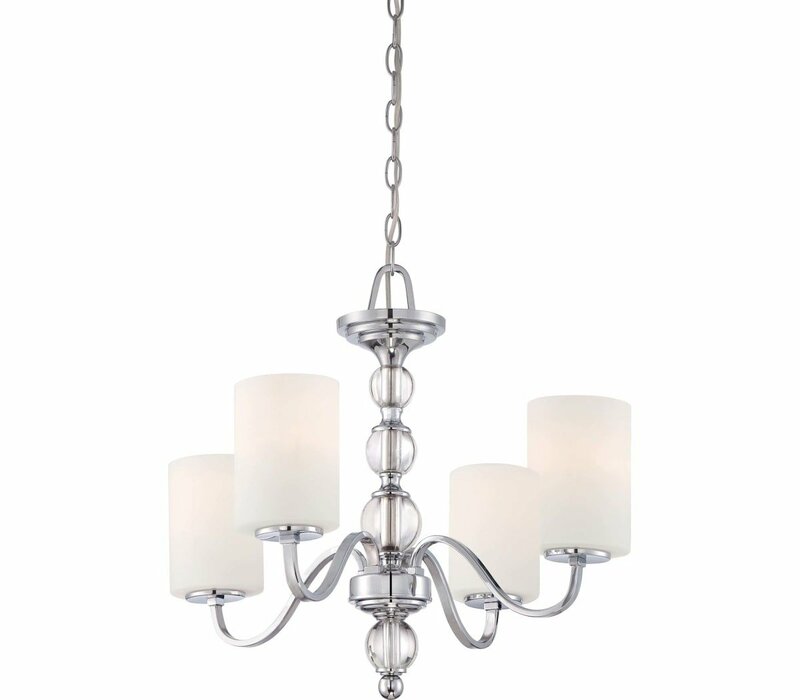 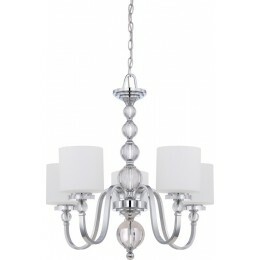 The Quoizel DW5004C Downtown collection Chandelier Lighting in Polished Chrome uses Fluorescent light output and brings Modern style. 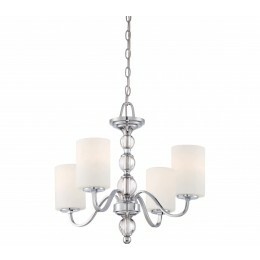 This item is 19.5"H x 22"W x 22"L. The wattage is 100. 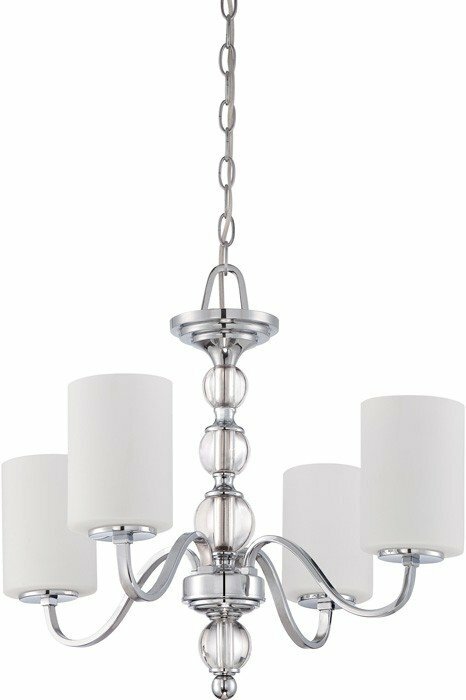 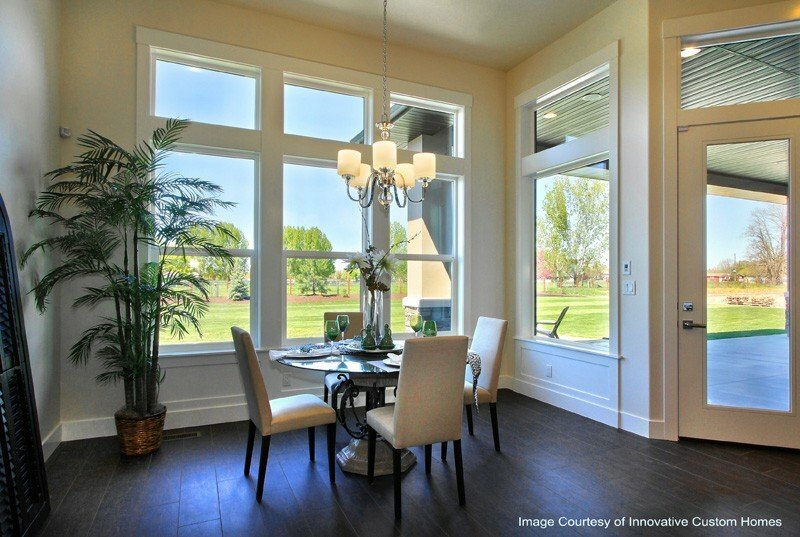 The Quoizel Lighting DW5004C requires 4 bulbs (not included). 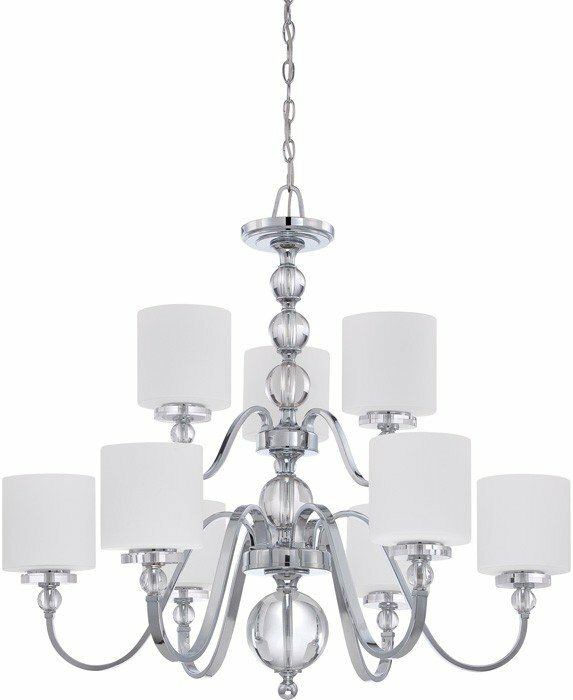 Additional Information: Shade-OPAL ETCHED.